('bleachers'- whitening) 2 Bleecker St. According to Nicoline van der Sijs (Cookies, Coleslaw and Stoops - Amsterdam 2009) Mr Stuyvesant's first name was Pieter - Pieter Stuyvesant 2 - of course English 'Peter' sounds very much like Dutch Pieter. 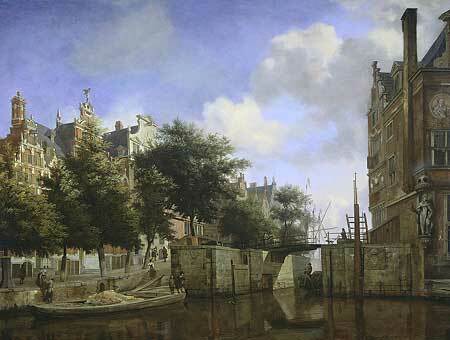 The 'Staten' (Estates) were the 17th Century Dutch government. 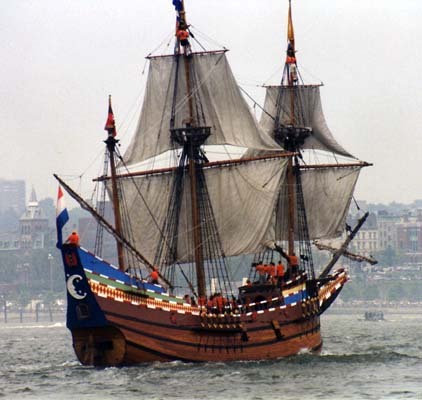 In 1526, the Italian explorer in French service Giovanni da Verrazano and his crew were the first Europeans to visit the site that would later become New York. For the developing trade with India and China, Dutch and English companies sent explorers North, hoping to find another passage than the Spanish and Portuguese routes around Africa. Some believed a warmer, navigable sea would be found beyond the polar ice, like Henry Hudson, an English explorer paid by the Dutch East-India Company, who visited the New York area and sailed up to present-day Albany in 1609. His positive report brought Dutch fur traders and a few settlers. 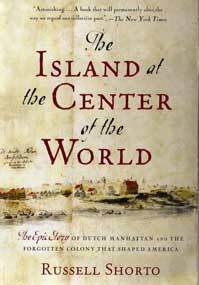 In 1626 Peter Minuit famously bought Manhattan island for something like $20. About two hundred people from Holland were living in the area at that time; Minuit's orders were to build a fort and bring all settlers together around it for (their own) safety. 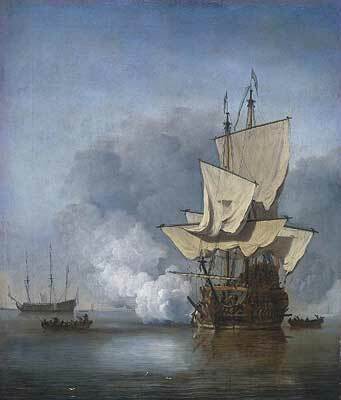 Nieuw Amsterdam was occupied by the English in 1664 and officially ceded after the Second Anglo-Dutch Sea War (1665-67), in exchange for Surinam (between former British and still French Guyana), which looked more promising at that time. Some New York names are a reminder of the Dutch years. Imagine (Mr Turtledove?) the American Revolution with a Dutch base in the midst of the twelve colonies; of course Dutch bureaucrats hated revolutionaries as much as their English counterparts, but the powerful merchant class might have seen a profit. 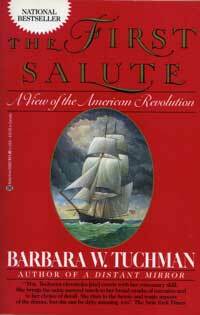 In our world, Holland supported the American Revolution (Barbara Tuchman: The First Salute), smuggling gunpowder and providing loans ... and suffered the Fourth Anglo-Dutch Sea War as a consequence. 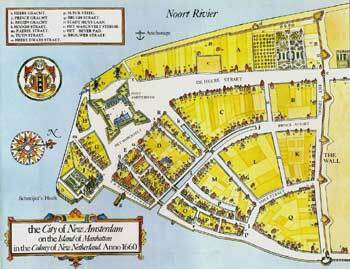 New Netherland Geography: Towns, Plantations, Rivers etc. The names are roughly in the order that they appear in the book, which resulted in some interesting combinations. When looking for a specific name, use your computer or browser's search-in-page function. Again, as with the names from Mr Shorto's book, the names are roughly in the order I found them in the book. When Governor de Graaff of the Dutch Carribean colony of St. Eustatius ordered his lieutenant Ravené to return the salute of the U.S. warship Andrew Dorea, it was the first foreign recognition of the new American Flag and Nation. hear - 2 Sint Eustatius "Statia"
The Stadhouder was the Head of State, 'instead of the king;' the post was first held by William of Orange, leader of The Dutch Revolt, later by his sons and descendants, and by more distant relatives when his line died out; the family was elevated to royalty only in 1815. The Raadspensionaris was the head of government. Some (Oldenbarnevelt, De Witt) lost their lives in power struggles with the Stadhouder. The Batavians were a Germanic tribe that settled in Holland some 2300 years ago; The Dutch Revolt against Spain was sometimes compared with the Batavian Revolt against Roman rule (69 AD/CE). In 1566, two years before the Dutch Revolt broke out, a group of nobles went to see Spanish governor Margaretha of Parma, asking for tolerance of Protestantism; the Governor was a little afraid of them, but one of her advisors said (in French): "Ils ne sont que des gueux," They're just a bunch of beggars. When the story became known, the revolutionaries proudly took a Dutchified version, "Geuzen" as their name. hear At present, Holland has 12 provinces. 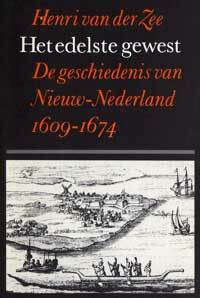 In the 17th Century, poor and sparsely populated Drenthe was a kind of territory, and the Catholic southern provinces of Noord-Brabant and Limburg were also like territories (some say 'internal colonies') governed from Holland. The twelfth province Flevoland, on the newly reclaimed land in the old Zuyder Zee, was added in the 1970s. email - copyright © 1999-2006 Marco Schuffelen - All rights reserved. This material may not be published, broadcast, rewritten, or redistributed.